We now have two outstanding resources available to you. Each Sunday, your child should receive a copy of HomeFront Weekly. It’s a great way to get you and your kids talking about God’s Word together. Each week has a devotional for you and ways for your family to spend time in God’s Word. And it always focuses on what your children will be learning at church the next Sunday. If you child doesn’t make it home with his or her copy don’t worry. You can always find one on the church website. Go to www.fellowshipnorth.net, click on resources then on HomeFront. For this Sunday’s issue click here. 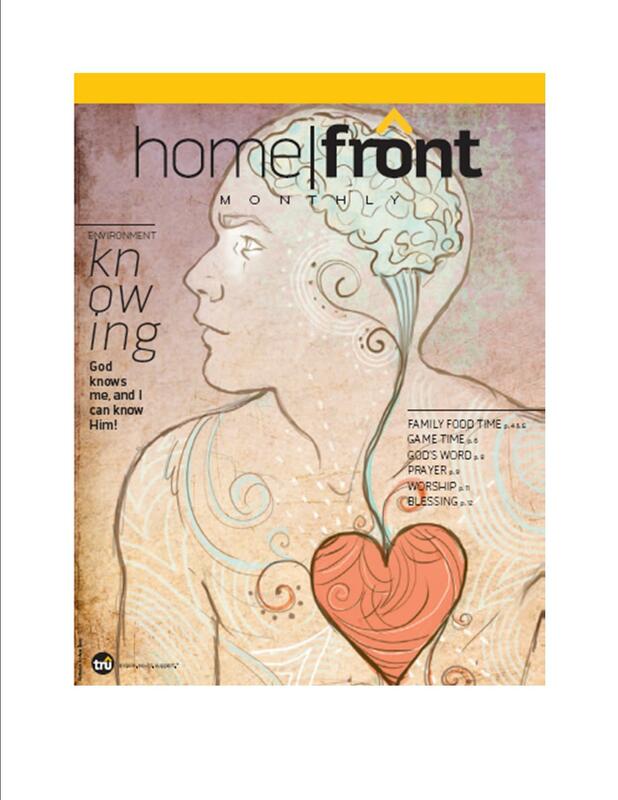 In addition to HomeFront Weekly, there will be a monthly edition available on the website and at the Connecting Point. This is full of great ideas like dinner conversation starters, recipes, games, stories, devotionals and prayer and worship activities. You can find October’s issue here. I hope that you will take advantage of these resources to encourage a love of God’s Word in your own life and the lives of your children.